The new Commissioner of Police, Enugu State Command, Mr. Suleiman Balarabe, has assured Governor Ifeanyi Ugwuanyi that his Command is “doing everything possible to fish out the perpetrators” behind the killing of a Catholic Priest, Rev. Fr. Clement Ugwu and the Secretary to the Uzo-Uwani Local Government Area, Dr. Nnamdi Ogueche. CP Balarabe, who gave the assurance when he paid the governor a courtesy visit at the Government House, Enugu, said that one of the reasons for the visit was to condole with him on the incidents, saying: “My command deeply and sadly condole His Excellency on these unfortunate deaths”. This came as the Police Public Relations Officer, SP Ebere Amaraizu, in a statement made available to the press, disclosed that the perpetrators of the heinous acts were yet-to-be identified contrary to reports in some sections of the media. The police spokesperson stated that “the investigation is still ongoing to unmask those behind the dastardly acts as well as their motives”, adding that “the command views the report as improper, malicious and inciting as the ongoing police investigation has not revealed those responsible for the unfortunate incidents including their background”. On his part, the police chief told Gov. 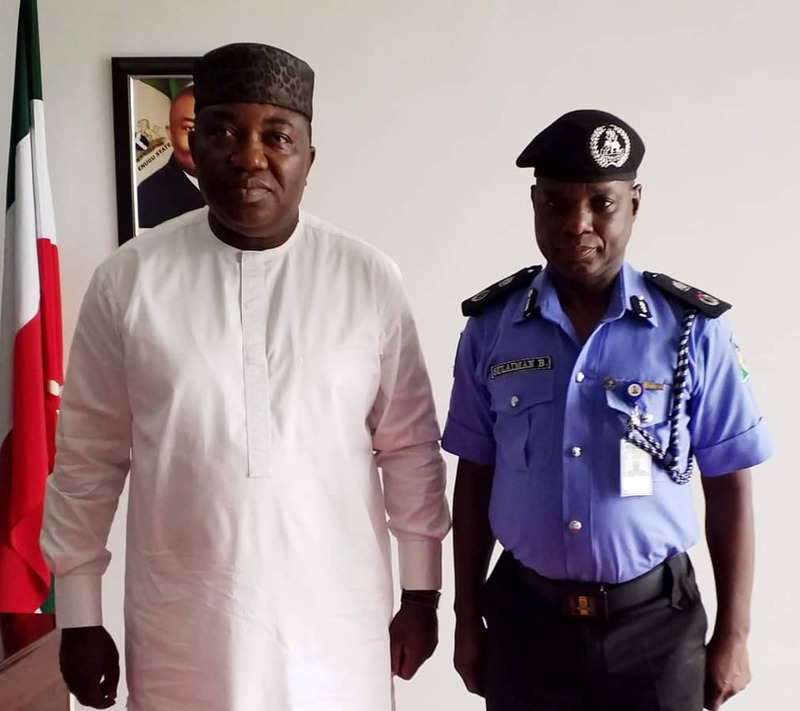 Ugwuanyi that the visit was also to formally introduce himself as “the new Commissioner of Police, Enugu State Command” and to congratulate him on his reelection. Responding, Gov. Ugwuanyi, who welcomed and congratulated the new CP on his “posting to this very important and strategic office”, stated that “following our meeting with security agencies in the state, we are also confident that the command will as usual, do everything necessary to apprehend the hoodlums”, praying that similar incidents do not recur. Gov. Ugwuanyi noted that his administration in its resolve to ensure security of lives and property of the people as well as the maintenance of peace in every corner of Enugu State, has “always maintained an excellent partnership with the Enugu State Police Command and other security agencies in the state”. The governor added that “this relationship has largely been responsible for the current status of the state as one of the safest, most peaceful and most secure states in the country”. While expressing gratitude to the command “for its vital contributions towards the peaceful conduct of the 2019 general election in Enugu State”, Gov. Ugwuanyi reassured the new CP of “the continued support and cooperation of the state government to ensure an even more laudable performance of the command under your watch”.